I’ve made the odd soda bread loaf in the past, but I’m currently pretty serious about getting into a routine of baking our own bread, inspired most recently by watching the River Cottage Everyday ‘Bread’ episode. At some point, I’d also like to try establishing my own sourdough, but I wanted to start with something straightforward. I was pretty happy with the look and taste of this chunky little loaf. So, if you also happen to be looking for a fool-proof home-baked baked bread recipe then I think that you really can’t go past this Simple White Loaf recipe from River Cottage. Proving it's child's play! One of these was shaped by a four year old. I especially love this recipe because it yields two beautiful sized loaves which means that you can immediately freeze one when it’s cool. 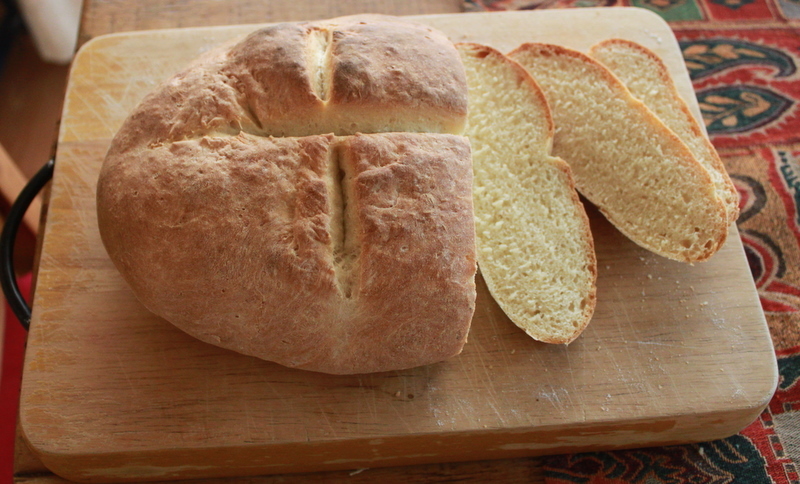 Make a few batches of these and you’ll soon have a load of your own bread available. 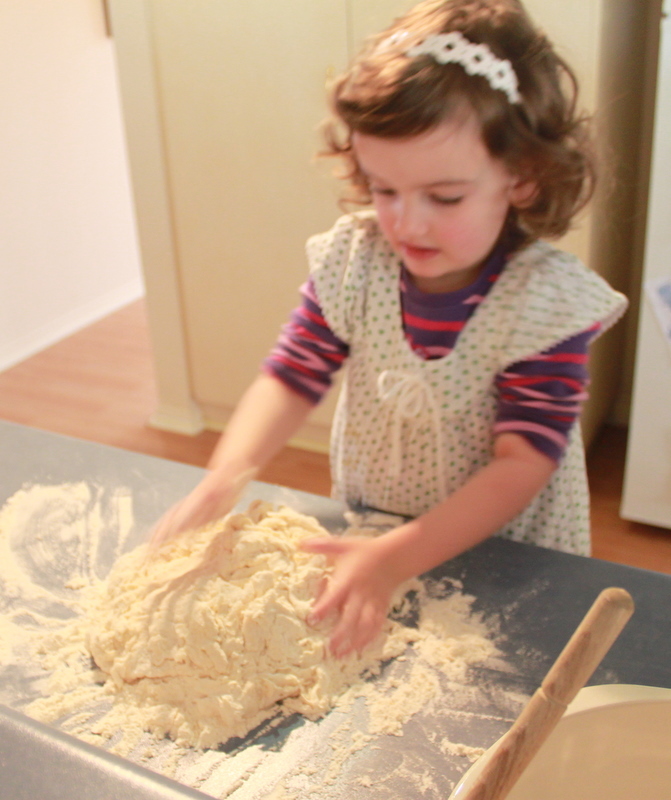 My nearly-4-year old loved kneading the dough too and got to shape her own loaf by copying me, so the dual loaf idea is great for including your kiddies in the bread-making process. There’s something very rewarding about slicing into your own bread, the aroma and the taste is somehow more fulfilling when you’ve crafted it with your own hands. 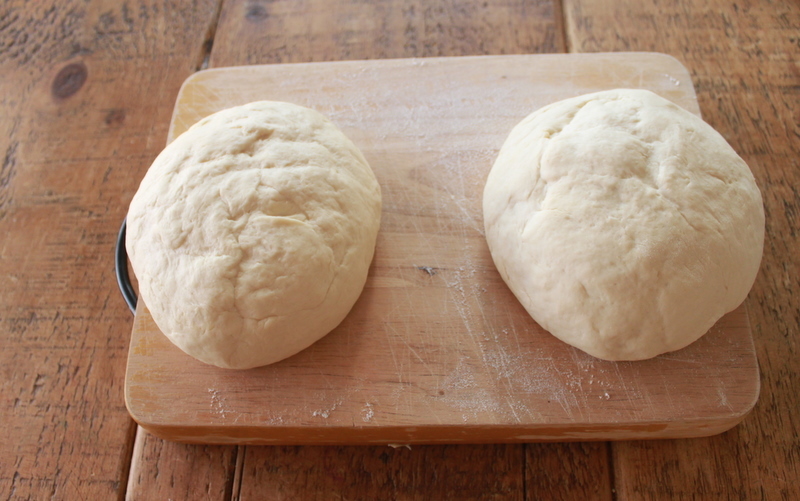 If you need visual instructions, you can watch this six minute River Cottage Bites Basic Loaf video. Thanks Trudi. I just saw photos of your veggie patch too. Looks great!